Nairobi’s Mathare Mental hospital officials confirmed to a Nairobi court on Wednesday that the Tanzanian national Rashid Charles Mberesero is mentally unstable to stand trial. The report has been presented in court weeks after Kenyan Prosecution counsel, Eddy Kadebe had presented another medical letter from Kamiti Medical Facility indicating that Mberosero was mentally ill and as such cannot withstand hearing of the case. Mberesero, through his advocate, Chacha Mwita had denied the allegation and insisted to proceed with the case, a ground which made Nairobi, Milimani Chief Magistrate Daniel Ogembo to order for his mental re-examination at Nairob’s Mathare Mental Hospital. Mberesero had been charged alongside four others – Mohamed Ali Abdikar, Hassan Aden Hassan, Sahal Diriye and Osman Abdi, who are thought to be Kenyan and Somali nationals. 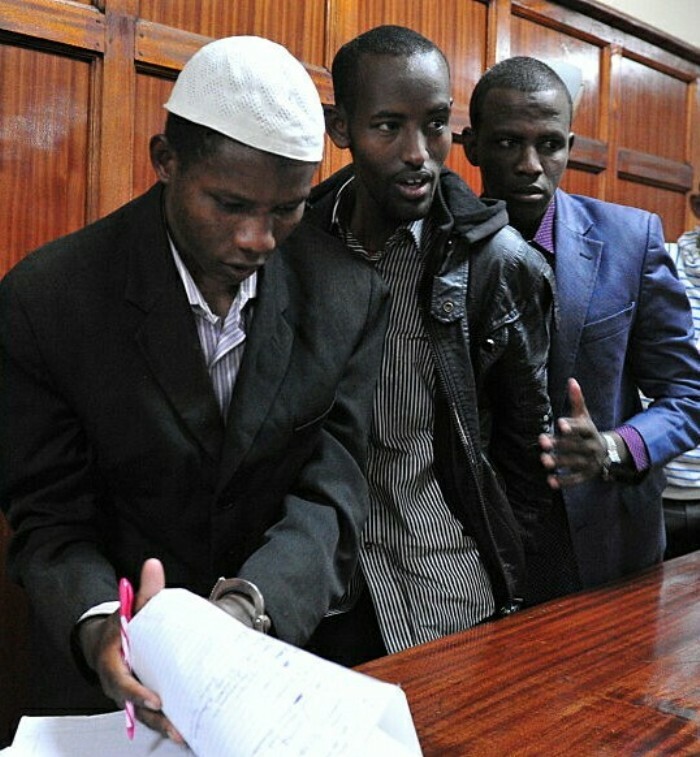 The five are accused of involvement in terrorist activities at Garissa University in North Eastern of Kenya on April 2, 2015 that led to death of 148 people mostly students. Following the medical report, the prosecution side has asked for adjournment to consult on how to proceed with the case. The case will be mentioned on October, 19 2016. A man believed to have masterminded the Garissa University terror attack- Mohamed Dulyadayn aka Kuno Gamadhere was killed in Farwamo, 30kms north of Kismayo in Somali in June 2016. The killing was done through a joint operation by the Somalia and foreign forces. In the Garissa University attack, four al-Shabab militants shot students in their dormitories before rounding up and killing dozens more. The four gunmen were killed during the siege but it took 16 hours for Kenyan anti-terrorism forces to bring the attack to an end. It was the deadliest attack in Kenya since al-Qaeda’s bombing of the US embassy in Nairobi in 1998, which killed 213 people. It also came a year and half after al-Shabab fighters targeted the Westgate Mall in Nairobi, killing 67 people.